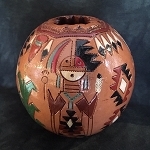 Original art in this beautiful vessel, vibrant colors and very detailed carvings all the way around. 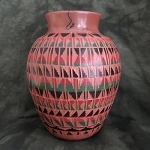 Navajo made and signed. 5" tall. 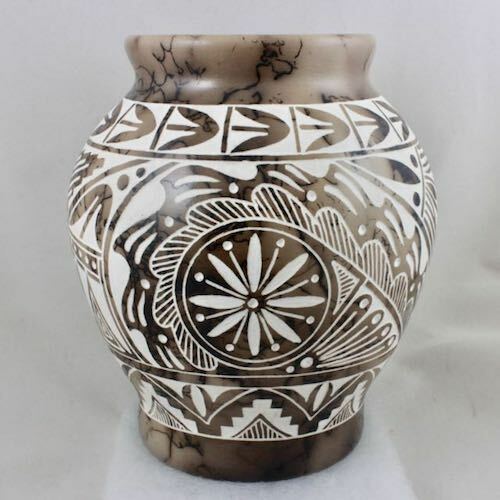 It is said that this pottery was first created when a long-haired maiden was removing hot pottery from her kiln and the wind blew her hair onto the hot pot and burned the hair into the pottery. 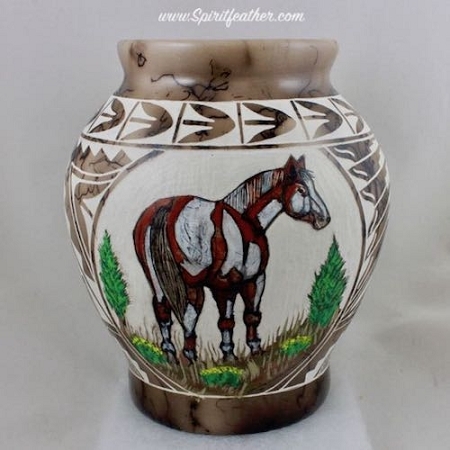 The pottery is poured, fired for a period of time after which it is removed from the kiln, and hair from the mane and the tail of a horse are draped on the pottery. The hair creates the dark lines and the smoke from the burning hair creates the cloudy grey areas. 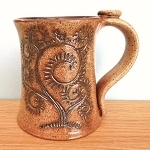 The pottery is then returned to the kiln where firing is completed. 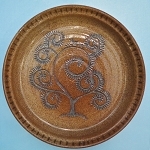 Then the pottery is removed from the kiln, etched and spray-glazed. It does not hold water.